Andrew Ganz December 25, 2018 Comment Now! The Ford Mustang might be the ultimate automotive success story. Born from humble beginnings, the Ford Mustang is an enduring icon that has had its share of ups and downs. Today’s Mustang channels its heritage like never before, with retro-inspired trim packages that hark back through the model’s milestones. 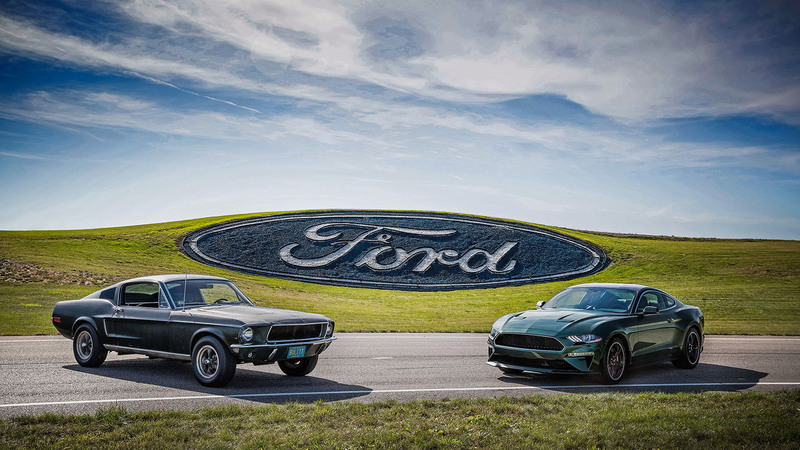 The Mustang’s story officially began April 17, 1964, when Ford took the wraps off of its original Mustang at the New York World’s Fair, but the pony car’s tale started decades prior. At the height of the Cold War, American servicemen scattered through the U.K. and divided Germany discovered the allure of small sports cars in Europe. Pint-size proportions were a necessity in Europe’s medieval cities, where big Packards made for American boulevards were a tight—or an impossible—squeeze. Britain’s MG, Italy’s Alfa Romeo, and Germany’s Mercedes-Benz all built stylish small cars that often made their way across the pond. Detroit picked up on this first with the Chevrolet Corvette in 1953, and later with the Ford Thunderbird in 1955. These roadsters captured an American interpretation of Europe’s love for sporty driving—particularly the Corvette. Ford fell into old habits, transitioning the Thunderbird into a soft boulevardier after its first generation. Yet designers and engineers in Dearborn hardly gave up on the idea of a sporty, stylish car. In 1962, a committee of Ford managers spearheaded by Lee Iacocca envisioned a small, track-oriented sports car in the vein of the MGs and Triumphs that dominated weekend amateur racing. They looked to Ford’s European portfolio, where they nabbed a German-market V-4 engine and 4-speed manual. The mid-engined Mustang I concept car made its first appearance at the 1962 United States Grand Prix at Watkins Glen in New York. With Dan Gurney behind the wheel, it whipped around The Glen nearly as fast as Formula One cars. Throughout the next year, the Mustang I was paraded around at other enthusiast gatherings to gauge consumer interest. The rakish Mustang I was a hit with its target audience, but Iacocca knew he needed more than just car enthusiasts to get the Mustang green-lighted. Iacocca instead thought Ford should go after the sporty Chevrolet Corvair Monza, a practical compact car with zippy styling and more personality than staid sedans. Ford approved the Mustang in concept, providing the committee took the Mustang I’s basic idea and reshaped it for four passengers. A year later, a more conventional Mustang II show car debuted—again at Watkins Glen. This time, the sporty shape was stretched to seat four, the engine was relocated to the front, and its details were ready for production. It wasn’t hard for show-goers to picture themselves behind the wheel of this new car, which split the difference between sports car and convertible cruiser. Iacocca set five goals for the Mustang’s design: it needed to seat four, feature bucket seats separated by a floor-mounted shifter, weigh no more than 2,500 pounds while stretching no more than 180 inches from bumper to bumper, cost $2,500 to start, and have a wide array of options for buyers to sort through. At the 1964 World’s Fair in New York, Ford finally took the wraps off of the production Mustang. Most new cars debuted in the fall, but Ford chose April to help the Mustang stand out from the get-go. The earliest Mustangs featured the Fairlane’s inline-6 engine and a 3-speed manual transmission as standard fare, but two V-8s, a 4-speed manual, and a 3-speed automatic were optional. 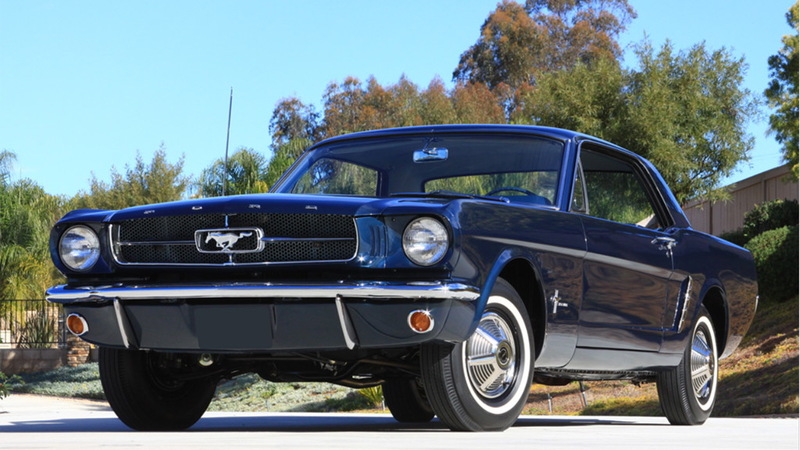 Convertible, coupe, and rakish fastback bodies plus an extensive list of performance, styling, and convenience options ensured few Mustangs would look alike. Careful marketing, including product placement in 1964’s 007 film "Goldfinger," made the Mustang a household name. Ford called the car a 1964 ½, even though state DMVs titled them as 1965s. 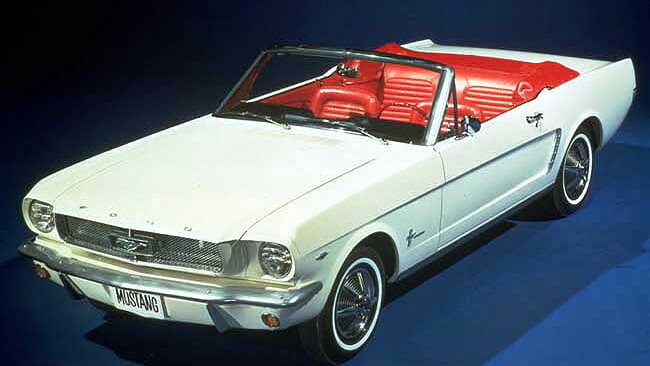 Nearly 700,000 found buyers by the close of 1965, when the Mustang was treated to its first appearance updates. 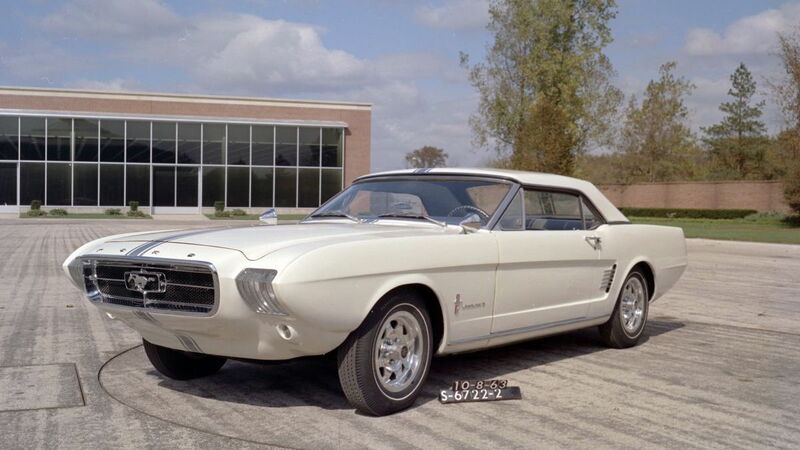 The first Mustang went to Gail Wise two days before the model’s New York debut. Then a 22-year-old teacher living in suburban Chicago, Wise stepped into a Ford showroom on April 15 to buy a convertible. A commission-eager salesman took her to a back room, where a light blue Mustang sat under a cover waiting for the lineup’s April 17 debut. Wise drove it home that day, not realizing she had spoiled what Ford intended to be a dramatic debut. Period automotive reviewers praised the car’s handling—but Carroll Shelby called the Mustang a “secretary’s car” and he set about upgrading it for racing. The original Shelby GT 350s put out more than 300 horsepower and had track-tuned suspensions not built for on-road comfort. By the mid-1960s, Ford expanded on the Mustang’s performance potential with a big-block V-8 and muscular styling. General Motors rushed its Chevy Camaro pony car to dealers, giving the Mustang a rival for the ages. Iacocca was a hero in Dearborn and he worked his way up the automaker’s ranks to become Ford Motor Company president by 1970. The Mustang remained his project, but he figured by then that the original design had run its course. Just months before the 1973 oil crisis, Ford debuted the Mustang II. It shared its galloping logo with the original car, but little else. Thanks to federal safety and emissions legislation, the Mustang II was smaller, but not lighter, than the original. It was based on Ford’s Pinto, but with more expressive styling and available luxury features. The Mustang II was the right car at the right time for Ford, even if it's not remembered fondly. Even with block-long gas station lines in recent memory, 386,000 were sold in 1974 for what would become the model’s fourth-best year ever. Ford entered the 1980s with a new Mustang, which used its new Fox platform for a more spacious interior. A convertible body reappeared and a few years later rapper Vanilla Ice found himself rolling in his "five point oh" along Beachfront Avenue. That 5.0 was actually a 4.9-liter V-8, but only Camaro fans seemed to care. Ford briefly offered a 2.3-liter turbo-4 in the Mustang SVO, which offered performance ready to take on import rivals as disparate as the Nissan 300ZX and Toyota Celica Turbo. By the early 1990s, the Mustang kicked off a wave of nostalgia with a swoopy 1994 redesign. Ford’s marketers bragged about the car’s three-bar taillights, the chrome running horse that floated in its grille opening, and its dual-cowl dashboard. Calling it a retro design was a stretch, but Ford generated tremendous buzz and the car was an instant hit. Underneath, it was retro—but not for all the right reasons. The Mustang continued to ride on a version of the Fox platform. Contemporary reviewers criticized its tepid performance and low-buck interior. A revived Mustang Cobra from Ford’s Special Vehicle Team (SVT) arrived in 1996 with a new aluminum V-8 engine rated at 305 horsepower. It wasn’t until the 1999 update that the Mustang SVT Cobra gained a much-needed independent suspension. Three and a half decades after the original Mustang, Ford finally had a pony car that could keep up with import rivals on a twisty road. The first SUV wave hit the personal luxury coupe segment hard by the late ‘90s, and a couple of years later GM axed its Camaro and Firebird. Ford didn’t give up, and instead pulled out a win with its deeply nostalgic 2005 redesign. Where the ‘96 Mustang’s retro style was criticized as contrived, the 2005 got the elements right. 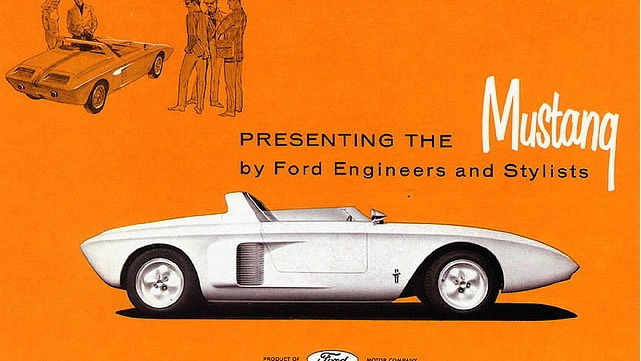 Its basic shape penned under then-Ford design head J Mays continues to influence the automaker’s pony car today. The new car retained a solid rear axle, even though its new platform was a distant cousin to the Lincoln LS and Jaguar S-Type. Instead of rebooting the Mustang Cobra, Ford turned once again to Carroll Shelby for the Shelby GT500. A supercharged V-8 rated at 500 hp gave the GT500 its name and signaled the revival of a relationship between the legendary Texas racer and the blue oval. After a mild styling update for 2010, Ford tossed the Mustang’s dated 4.0-liter V-6 and underwhelming 4.6-liter V-8 in favor of new 3.7-liter V-6 and 5.0-liter V-8 designs. The V-6 provided performance nearly as impressive as the outgoing V-8, while the 5.0’s 412 hp elevated it to a new level. The engine room redo was no mere act of benevolence Ford’s part. Instead, it was a proactive measure against Chevy’s reborn Camaro that arrived for 2010. In SS trim, the 2010 Camaro’s output was an impressive 426 hp—although it was heavier than the ‘Stang. The Mustang was redesigned for its sixth generation in 2015. Though its styling isn’t dramatically different from its predecessor, the latest Mustang continues to push the envelope. And it’s now sold globally, in both left- and right-hand-drive configurations. Underneath, a new independent rear suspension gives the new Mustang superior handling and a better ride. The 3.7-liter V-6 and 5.0-liter V-8 stuck around and were joined by a 2.3-liter turbo-4 at launch. The V-6 dropped, today’s Mustang sports either the turbo-4 or a choice of 5.0-liter or 5.2-liter V-8s, the latter a flat-crank design exclusive to the Shelby GT350. In 2018, Ford built its 10-millionth Mustang—in Wimbledon White, just like the first one. The pony car wars are back, even if sales are but a slice of their heyday.